Project Workflows are a dynamic resource that you can use to keep your project progressing with ease and accuracy. Whether you build custom or spec projects, Workflow Management gives you an avenue to set and reuse successful outlines that cover the entire construction process from planning and pre-construction all the way through closing. As one of the first integrated construction software systems to offer a Workflow Management tool, UDA ConstructionSuite enables you to create an active outline of the steps that need to be completed for each project and then repurpose the workflow throughout the software. 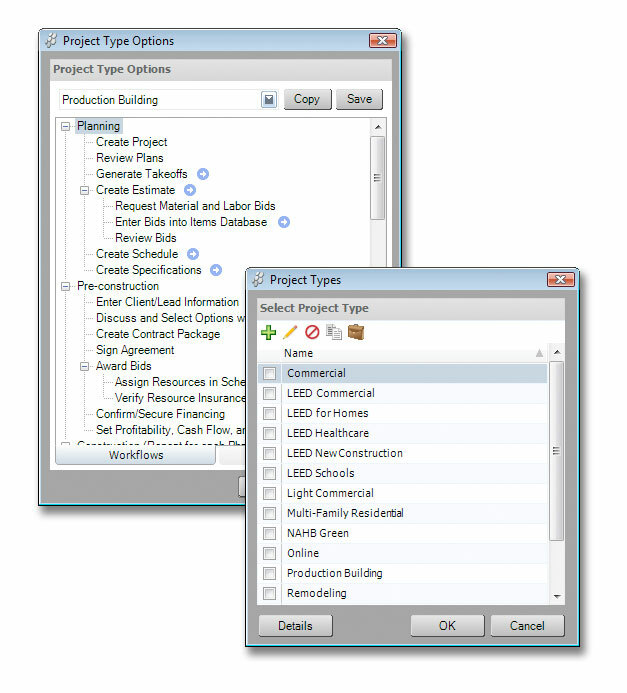 Workflow items represent steps in the building process for a project and can have actions associated with them such as automatically opening a template, file, program, or web site. Easily create an outline of project steps from pre-construction through closing. Take advantage of pre-loaded Workflows or create your own. Link Workflows to Project Types and easily repurpose successful workflows for each project your company takes on. 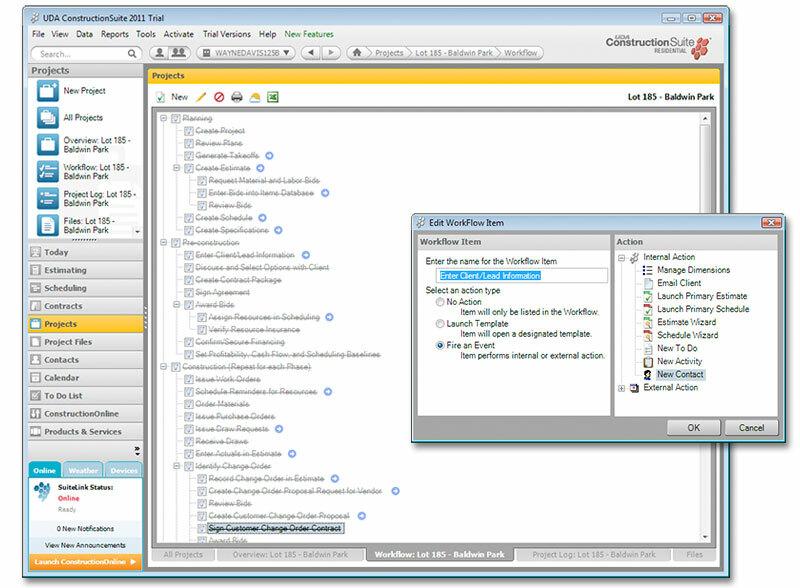 Utilize item actions to launch wizards, files, templates, web pages, or other programs. 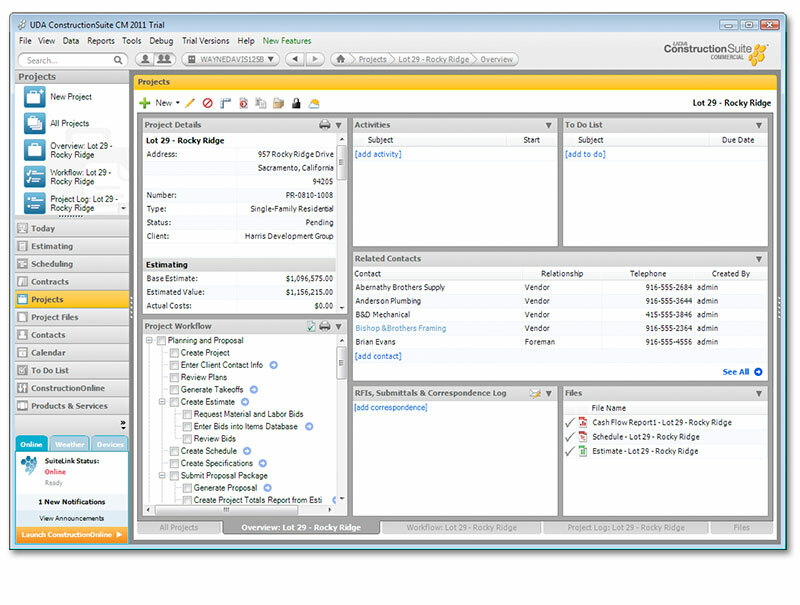 Project Workflows can be created individually for each project or associated with a Project Type. Associating a Workflow with a Project Type enables you to repurpose and reuse the successful project outline without having to re-create it for other similar projects. Preloaded with workflows for a variety of project types, UDA ConstructionSuite makes it easy to get started using this dynamic new feature. Take advantage of new Workflow Management tools and keep your projects progressing smoothly each time, every time with ConstructionSuite CM Catalyst, Developer, and Enterprise editions.